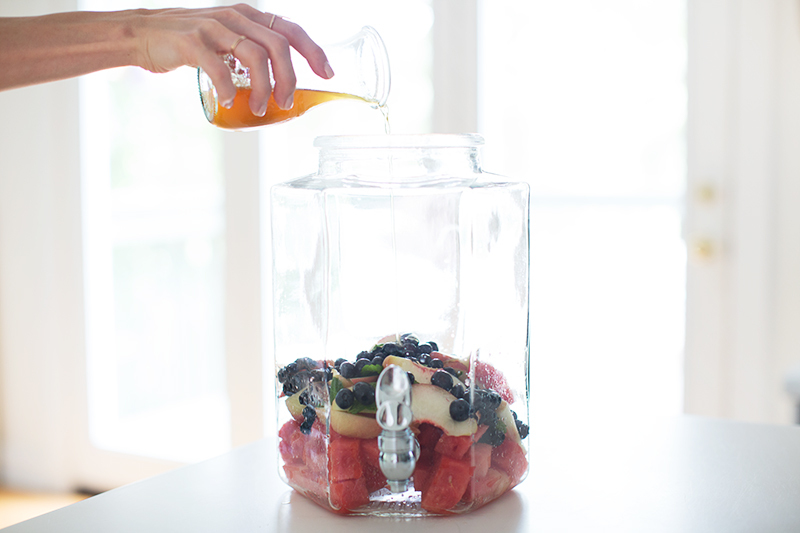 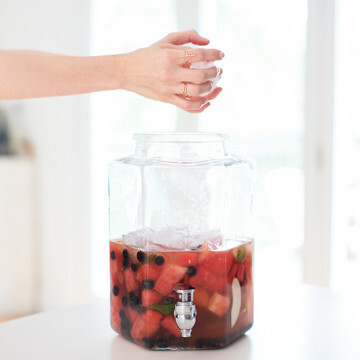 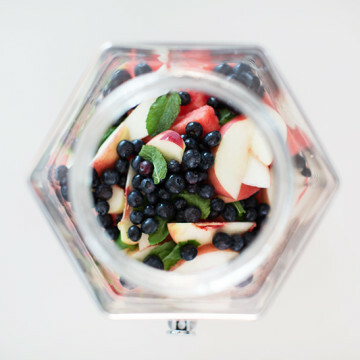 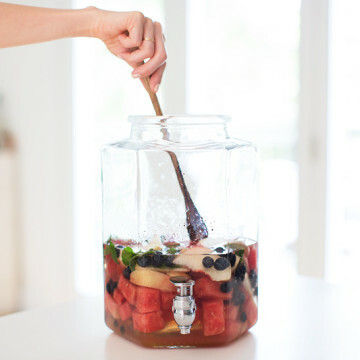 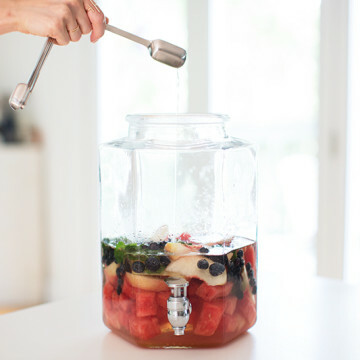 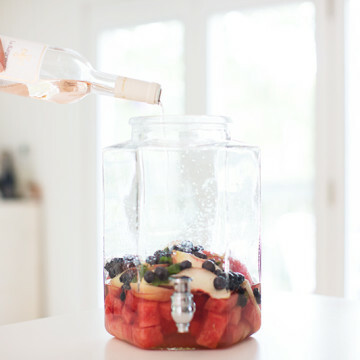 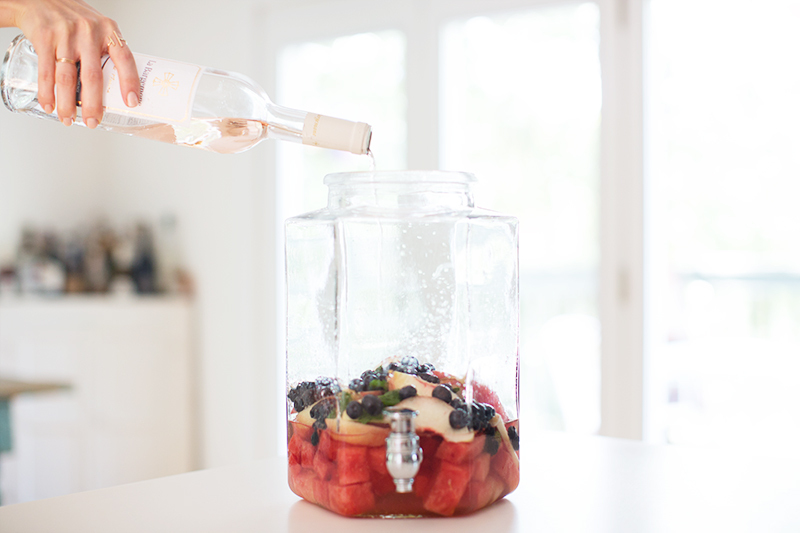 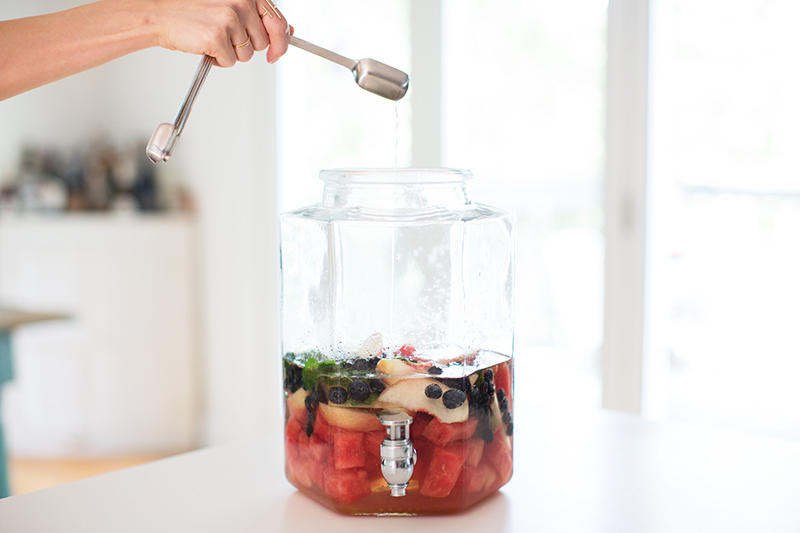 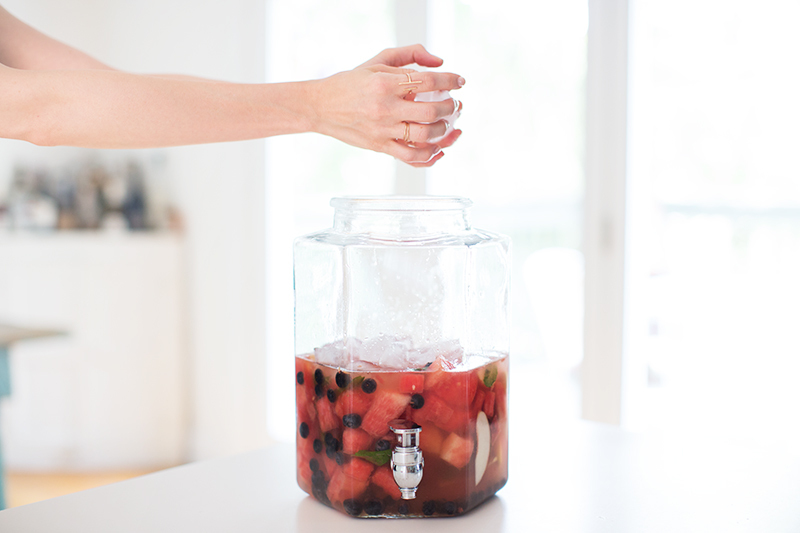 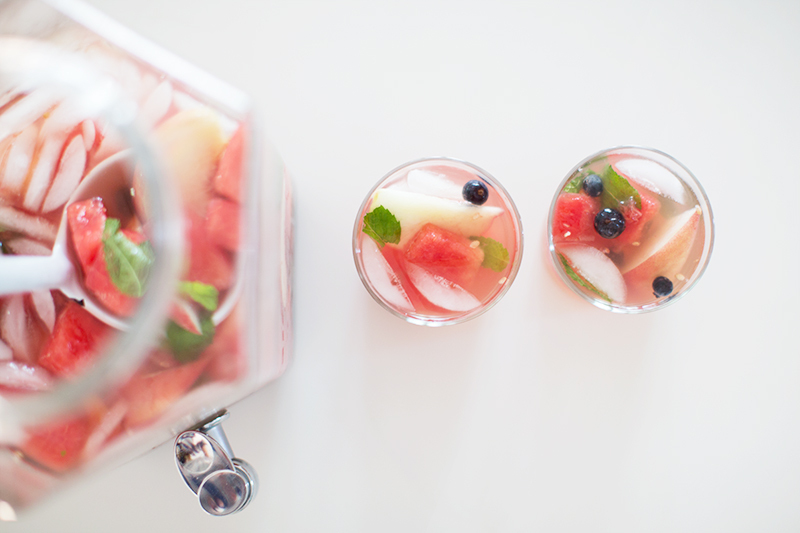 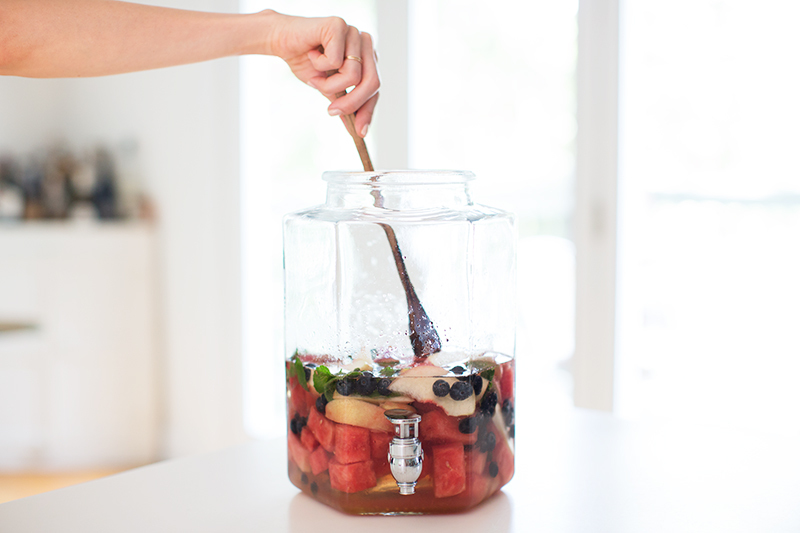 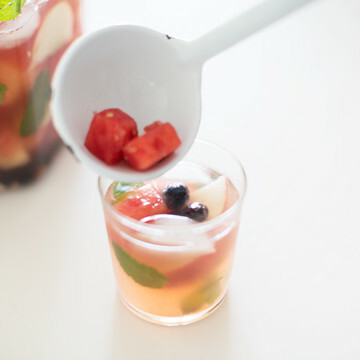 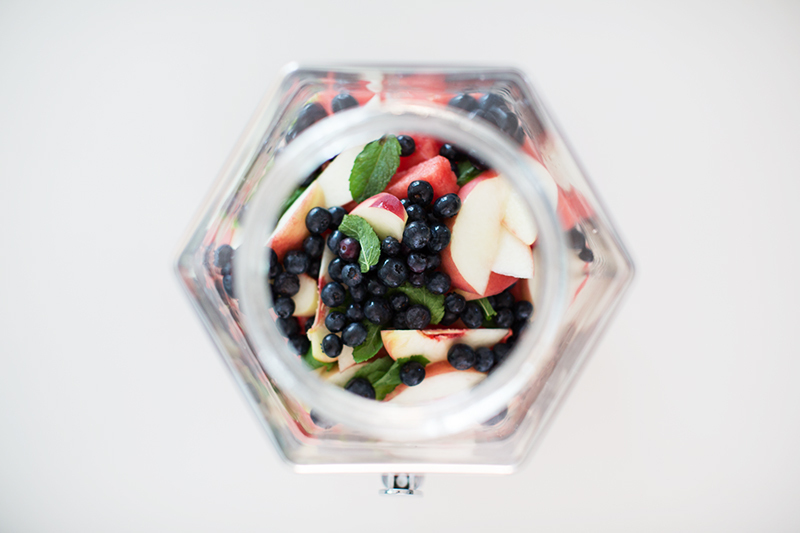 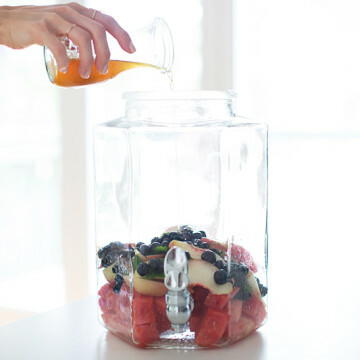 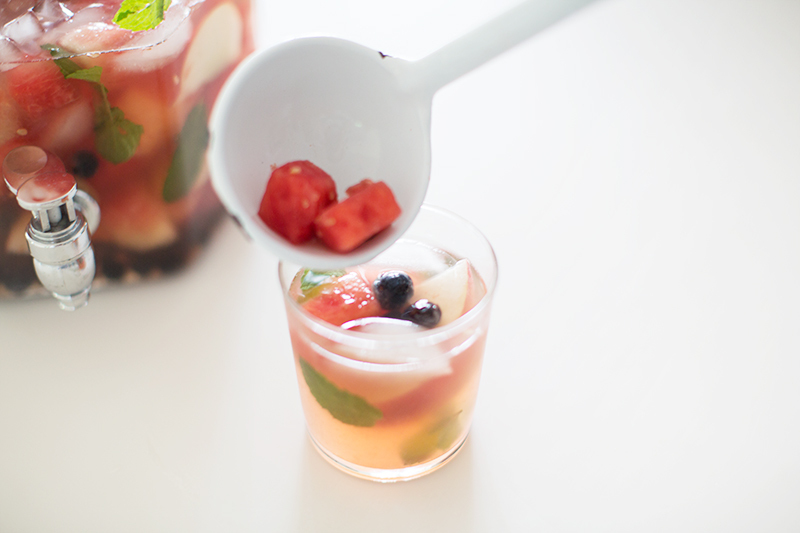 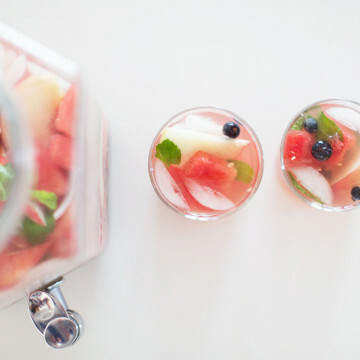 We have concocted the most delicious (and beautiful) summer-inspired cocktail—watermelon mint sangria! 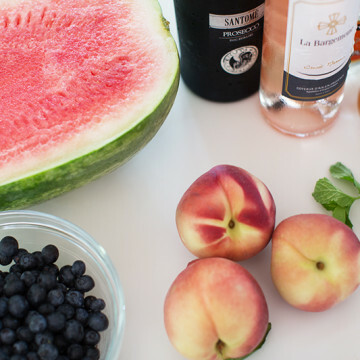 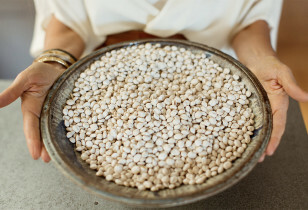 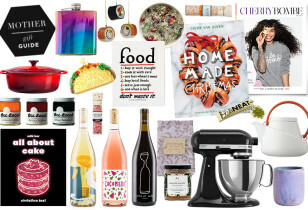 If the photos themselves don’t inspire you to try this recipe at home, then hopefully the ingredient list will. 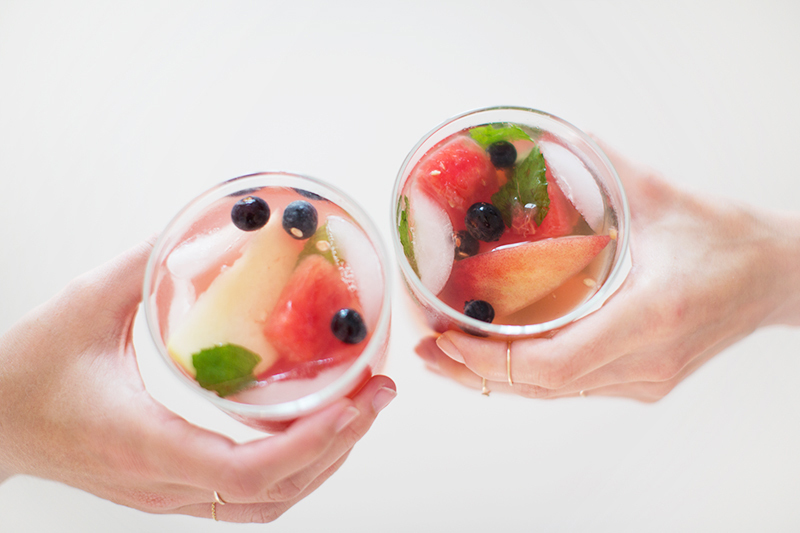 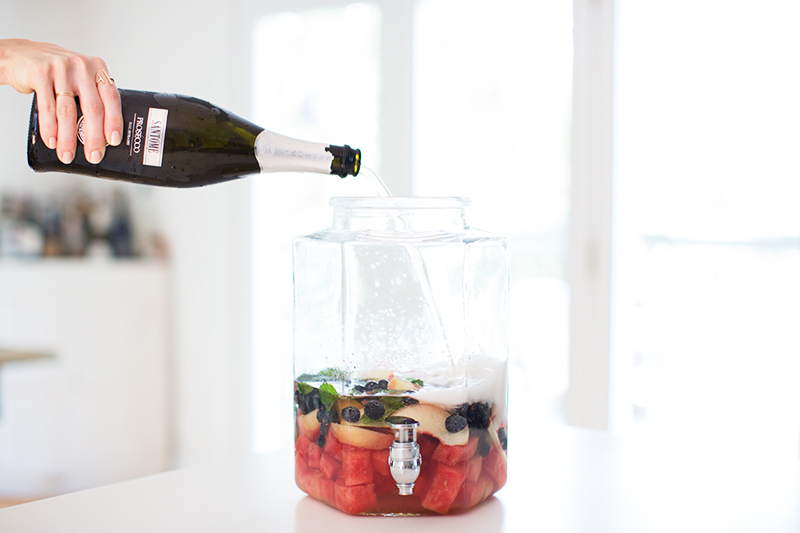 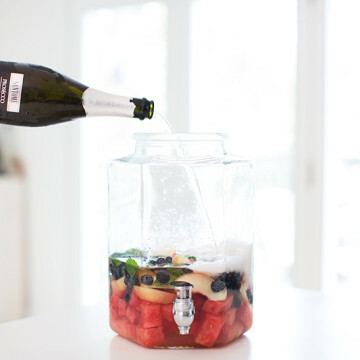 We added watermelon, honey water, and a bit of bubbly to give the classic drink an extra summer twist! 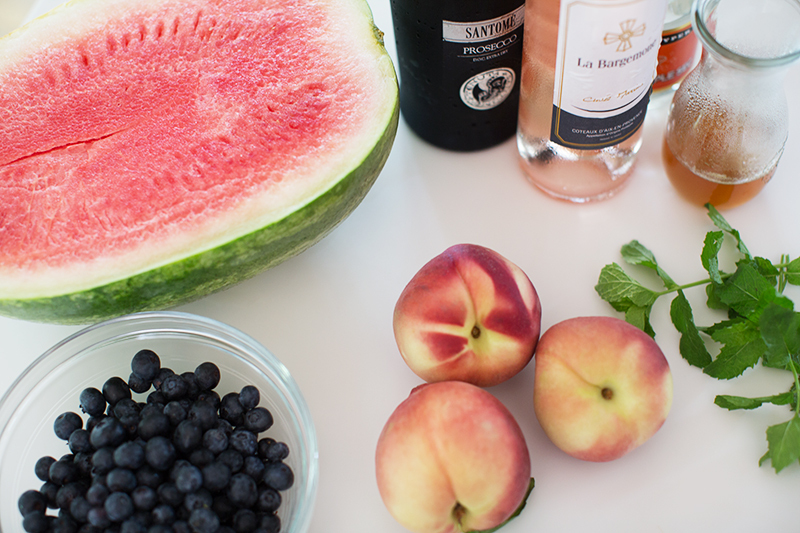 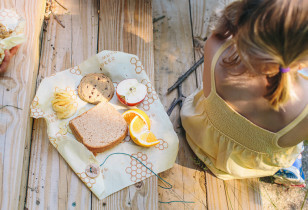 This recipe is definitely a favorite and will be a winner all season long.